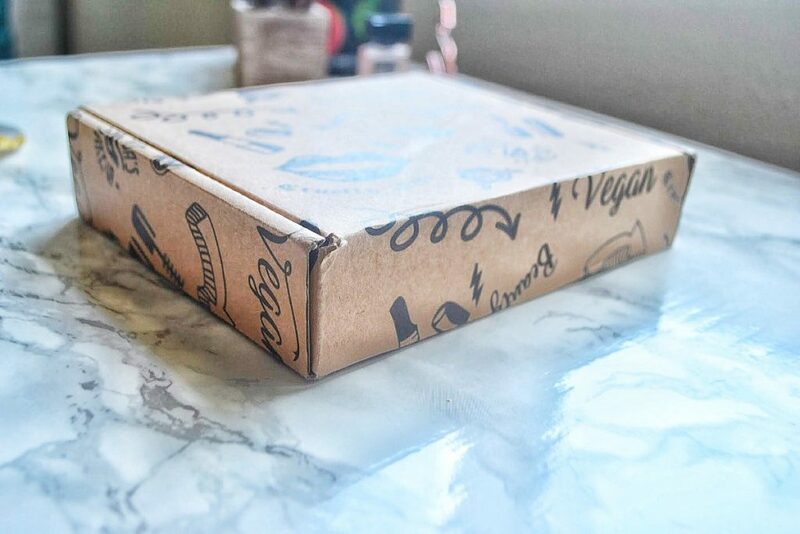 Medusa’s Makeup is a monthly beauty subscription box that sends out 3 – 4 full sized pieces of vegan, cruelty free makeup. I used to subscribe to their box for most of 2017, and I am excited to try them out again! I reach for their products at least a few times a week, and I am especially in love with their eyeshadows. 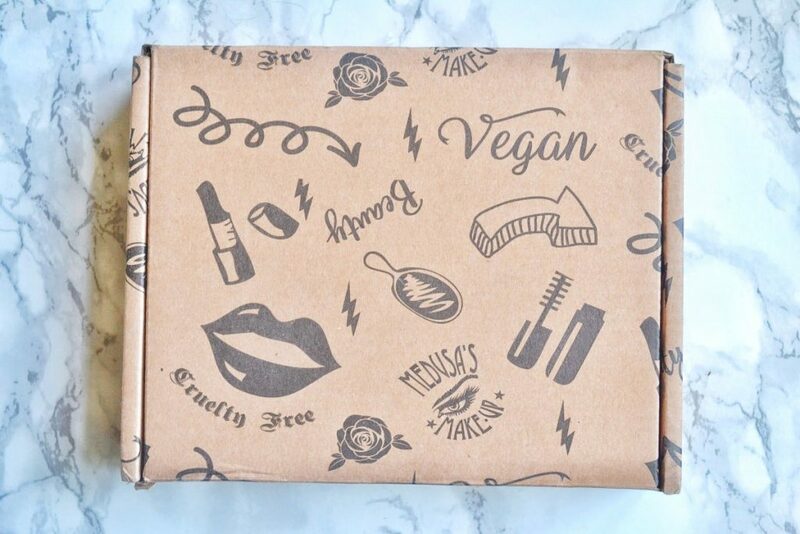 Their boxes cost $15.95 per month, which is a really great deal for indie and vegan makeup. 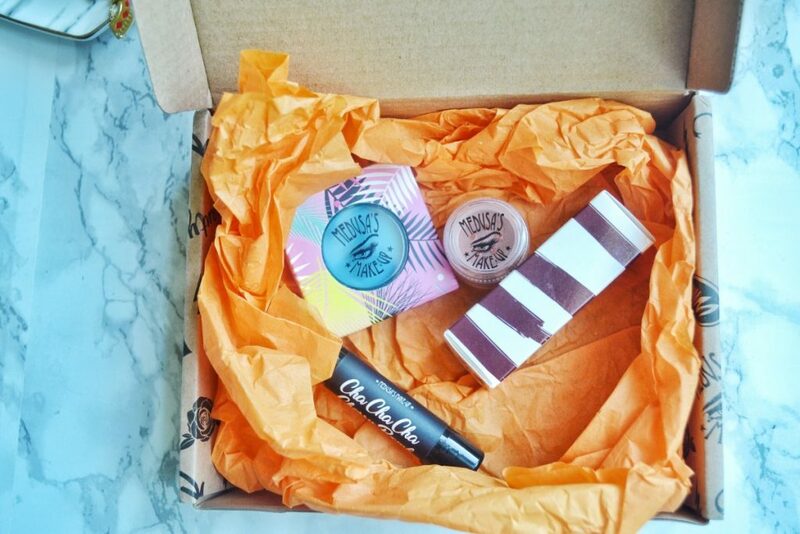 The boxes typically contain $30 – $40 worth of makeup. 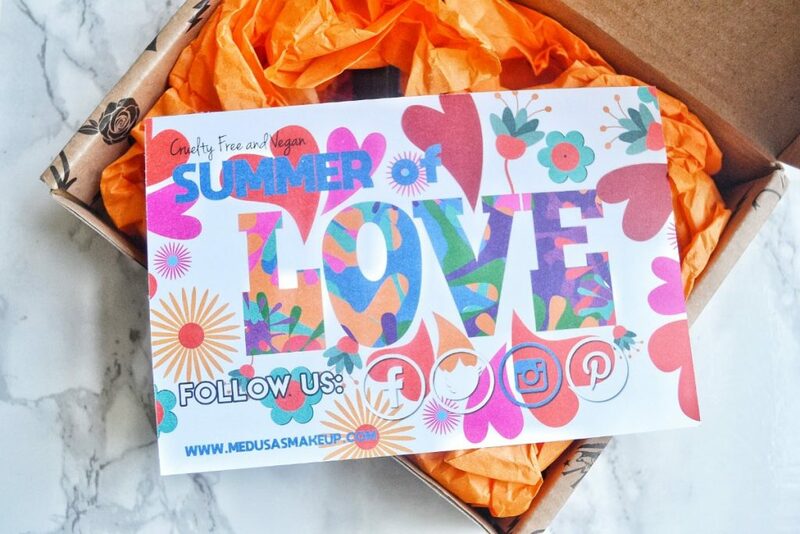 Today, I will be reviewing Medusa’s Makeup July box! When I used to subscribe last year, they sent the makeup out in a plastic bubble mailer. I am really liking this new box design! It is small and sturdy, and has cute little logos all over it. A layer of orange tissue paper kept all of my makeup safe. The box also included a little notice that next month is their second anniversary. They are going to be sending out their biggest box ever in celebration. I’m already excited! I really like that the card tells you the total value of the box. 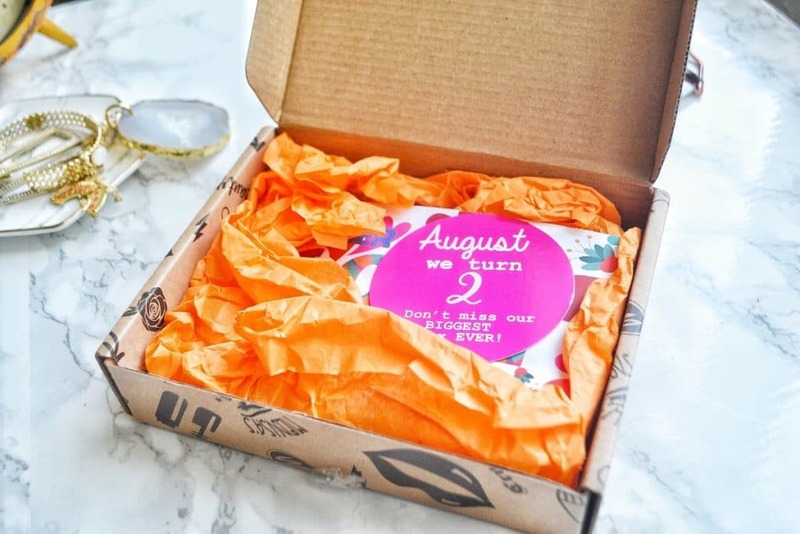 July’s box is worth $37.95, which is much higher than the cost of the subscription! July’s box contained 4 products. Can you guess what they are from the photo below? Medusa’s Makeup sent out a lip paint, an eye dust (loose eyeshadow), a pressed eyeshadow, and a chapstick. 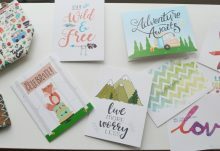 Let’s take a look at each product individually. 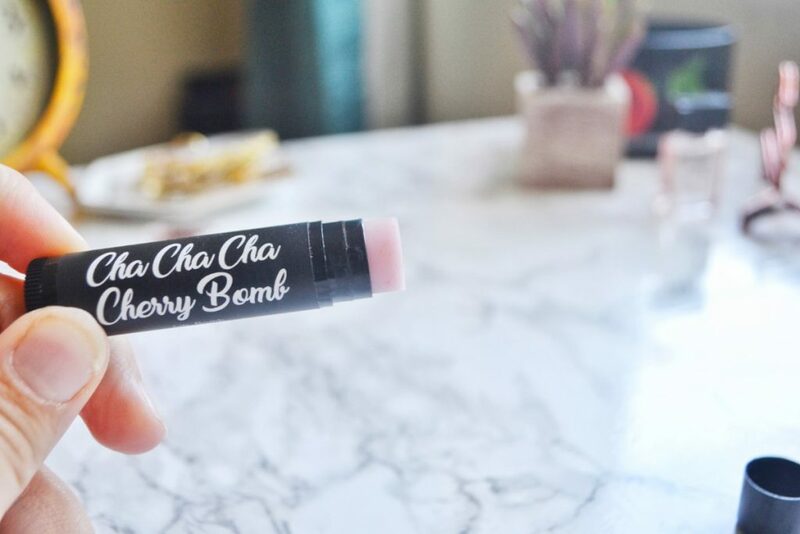 This lip balm is 100% vegan – so no beeswax. It contains moisturizing oils such as olive oil, jojoba oil, coconut oil, palm oil, and more. 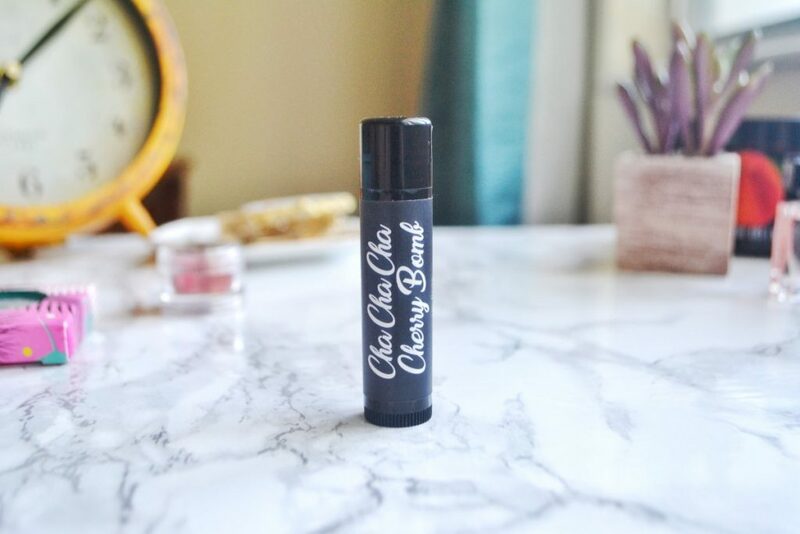 This is a super hydrating balm, and I like the fruity cherry scent. 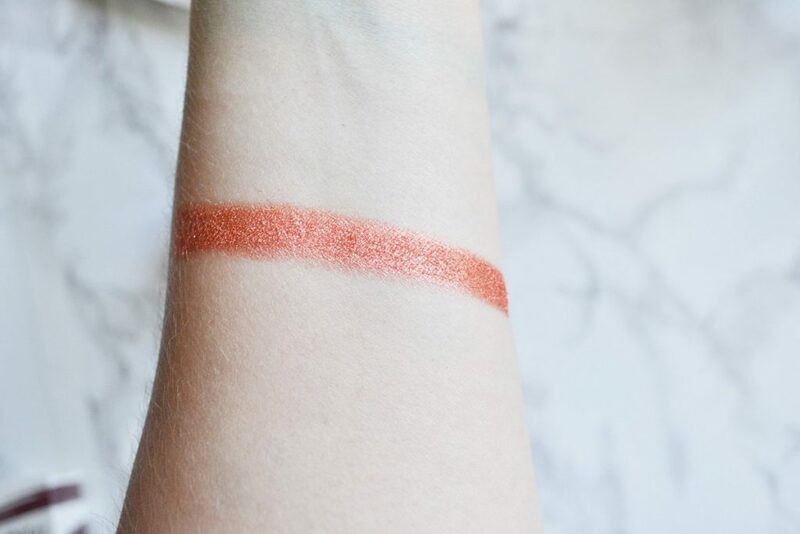 The balm itself is slightly tinted pink, but it applies clear. The information card says the eyeshadow is in the shade “Kokomo” which is a bright yellow. 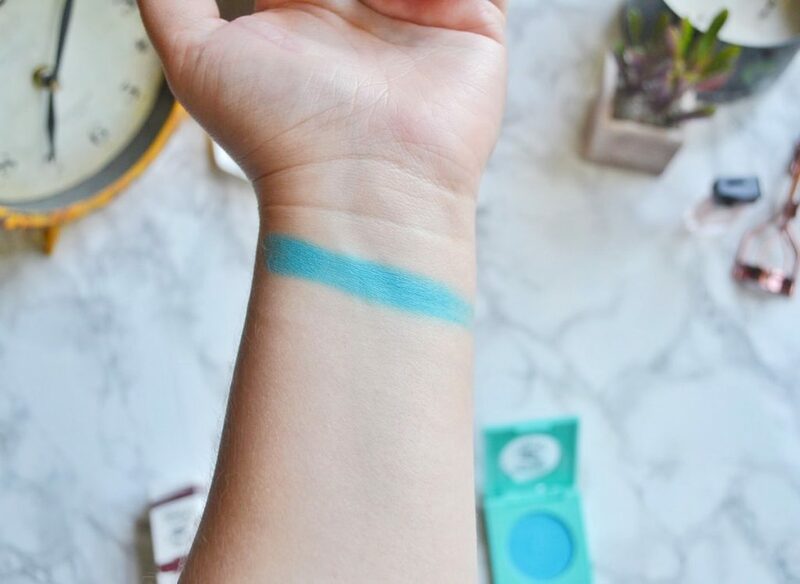 This is actually the shade “Key Largo”, a beautiful sky blue. I’m happy I received this instead of the the yellow shade! 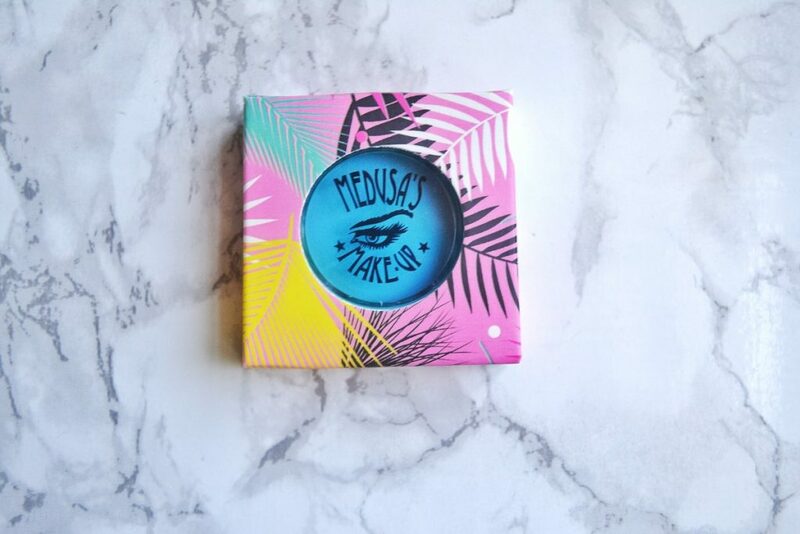 I have used Medusa’s Makeup “Totally Baked” eyeshadows before, but never their “Tropical Matte” collection. 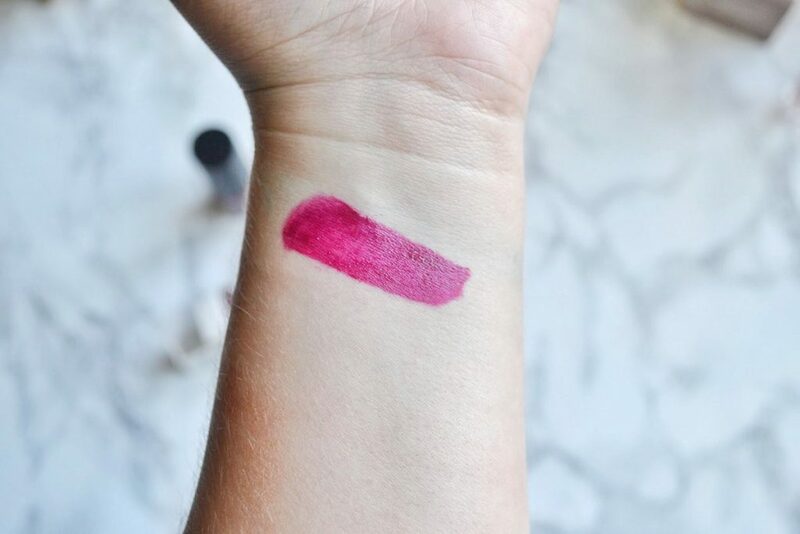 This matte is surprisingly creamy, and extremely pigmented. Mattes in general are less pigmented and chalkier than shimmers, but this is honestly the best matte formula I’ve ever tried. 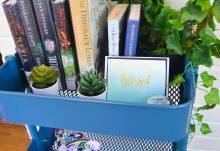 Look at that gorgeous blue! It makes me think of crystal blue waters in the Maldives. 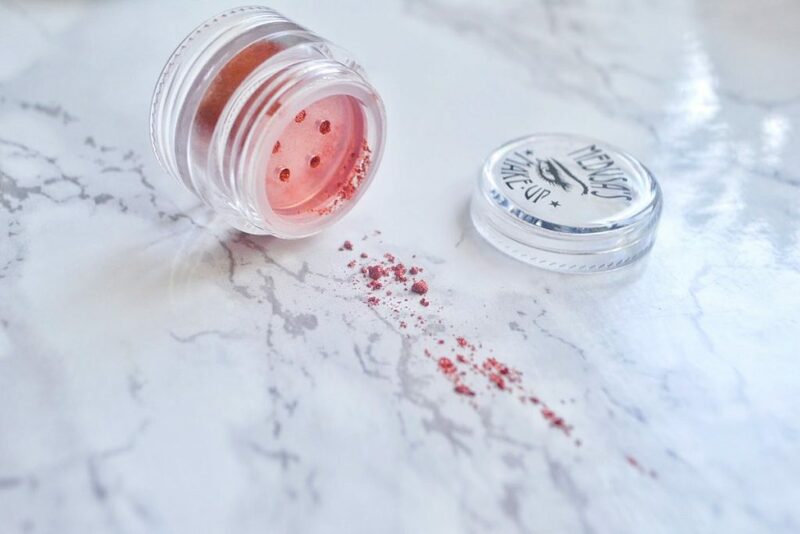 Eye dusts are one of my favorite products from Medusa’s Makeup. They are very fine, soft loose eyeshadow powders that are extremely pigmented and sometimes shimmery. 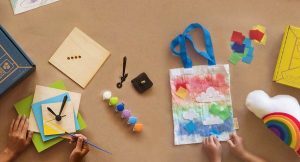 They blend out easily, and are a breeze to apply. My favorite way to apply the eye dusts is to dip my finger in the shadow, and gently tap my lid. These eye dusts last a long time, because a little bit goes a long way. July’s box included Penny Wise, which is a metallic copper eye dust. I was a little worried when I saw the lip paint in my box. I had received a few of these as an old subscriber, and I really disliked them. They had a strong paint-like smell, and were extremely drying and sticky. However, I think Medusa’s Makeup has reformulated the lip paint! The paint smell is completely gone, and I don’t have a problem with it being sticky. 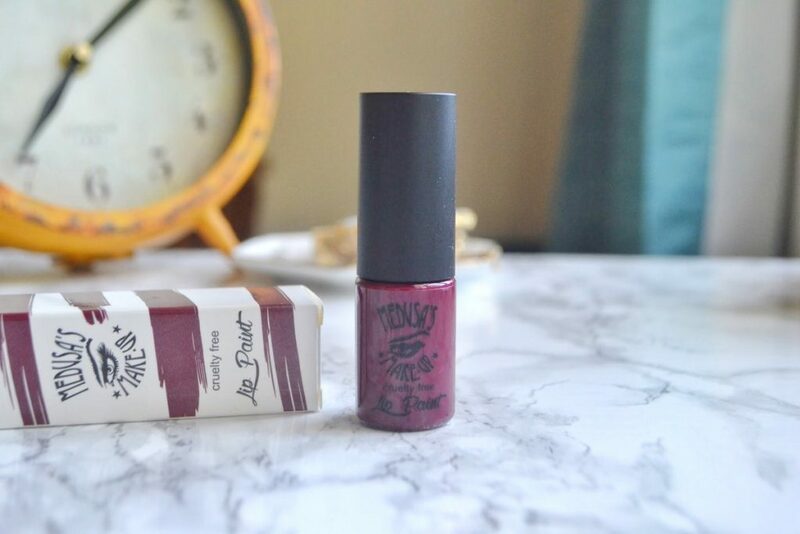 Hanky Panky is a gorgeous deep plummy shade, which I will probably wear more in Autumn. I am so happy that the Lip Paints have improved in quality, and I want to try out more shades! Wow! 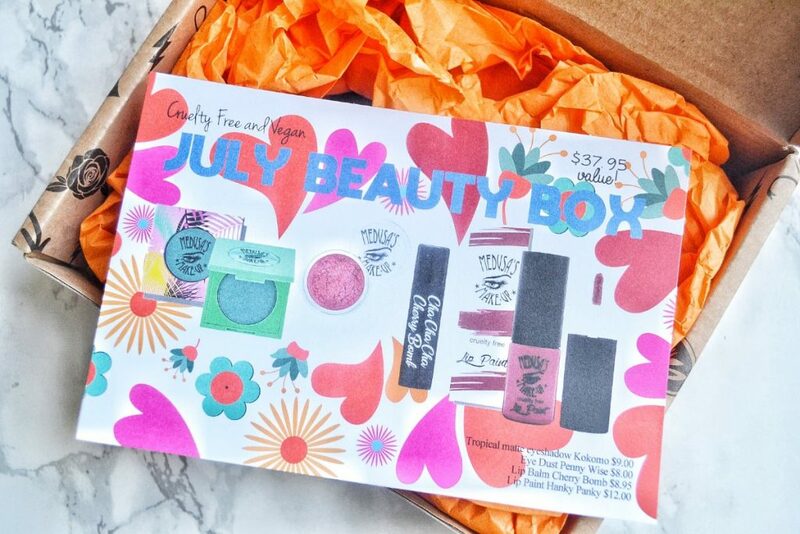 I adored Medusa’s Makeup July Box. 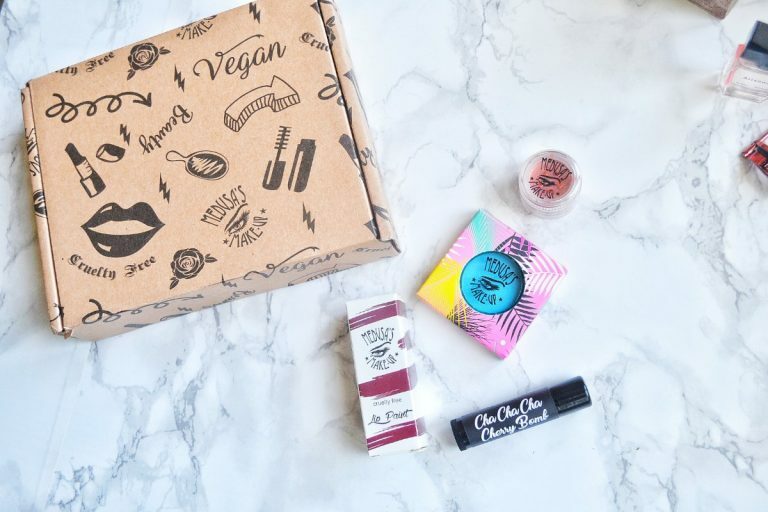 Trying out all these products makes me wish I had never canceled my subscription. 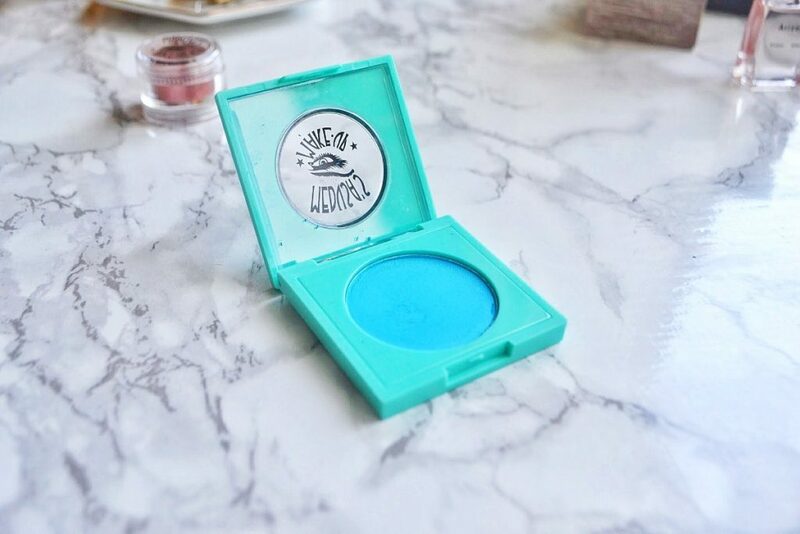 If you prefer neutral colored makeup, this might not be the subscription for you. 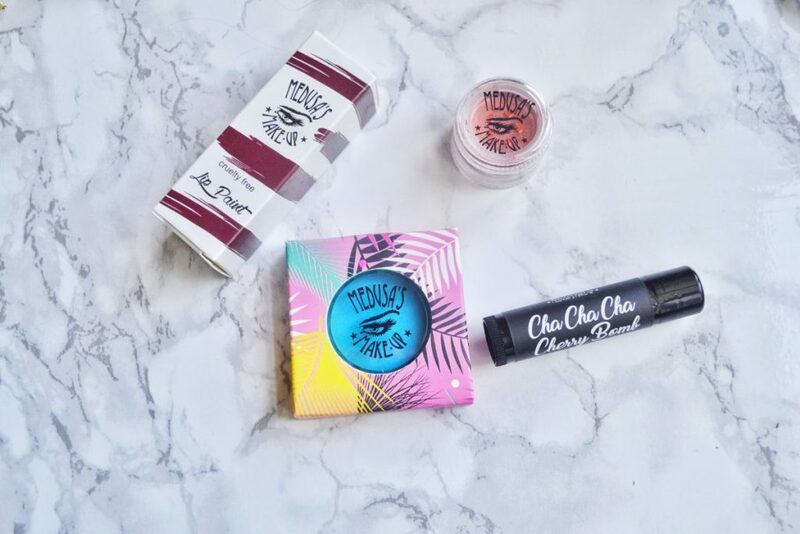 But, if you love bold colors and you want your makeup to be vegan and cruelty free, definitely check it out! The quality is outstanding, and the value of the box is higher than the cost of the subscription. The items arrived undamaged, I love each of the products, and the value of the box was high. A great month for Medusa's Makeup!